RB Leipzig manager Ralf Rangnick has said that Timo Werner may have to think twice regarding a Liverpool move, given Naby Keita has struggled to sufficiently impress with the Merseyside outfit. Werner has just 18 months remaining on his existing deal with the Bundesliga side and he has recently indicated that a fresh challenge could be on the cards with Bayern Munich leading the race to sign him. Speaking to Sky Germany, Rangnick said that the grass is not always greener after parting ways with the club and gave an example of Keita's indifferent spell with the Reds. "Keita was an outstanding player here, but he's still struggling in Liverpool," he said. "So far, he's not the player there that he was here. The surroundings must be right for Timo. That's the case here." 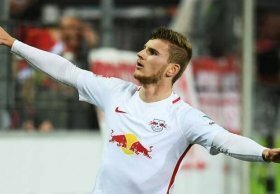 Werner has been the standout performer for Leipzig since his promotion to the Bundesliga three years ago and so far this term, he has netted 11 goals in 19 league appearances.